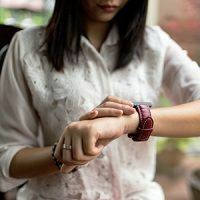 Establishing curfews, and holding your children to them, can often feel daunting, whether it’s because you know your child will challenge it or because you know you will experience some anxiety as you let your older teen stay out later as they get older. Here are 6 tips that will help you be more comfortable and effective setting curfews. Every child’s curfew has to match their age and ability—and your trust level with them. Often, parents aren’t sure about how to set a curfew time. And kids are good at playing “little lawyers,” arguing that their friends or cousins are allowed much later curfews. Talk with other parents or school staff to get a sense of what is happening with other kids their age. Take into account how responsible and accountable each of your children has been during the school year. Think about your own comfort level. Consider the precedent you set with your older child (which doesn’t mean you have to stick with it, just be prepared for the inevitable argument). Come to an agreement with your spouse or partner ahead of time about the correct curfew time for each individual child and the consequences if they come home late. This will help you determine the curfew that is appropriate for each of your kids, and because you’ve done your homework, prepare you to hold firm when they test the limits. Set and communicate clear ground rules. For example, let your child know that when you say 10 p.m., you mean just that—and not 10:10. Help them think of things they can do in advance to make sure they won’t be late. For instance, how to clearly communicate their curfew time with their friend who is driving everyone home. Be clear about what the consequences will be if they break curfew. You do have the power to hold your child accountable for their behavior. You have consequences within your control like access to a car, payment for the phone, access to the computer, etc. If your teen’s curfew is after your bedtime, tell them that when they come home they need to wake you up to let you know that they are home and safe. Have a clock next to your bed and check the time. This quick “Hello, I’m home” also gives you a chance to look for signs of alcohol or drug use. Hold your child to the exact time. Don’t let them slide into coming home at later and later times. If they do come home late, wait until a neutral, non-emotional time to discuss the situation. It’s often best to deal with it in the morning. Screaming, arguing, lecturing or nagging because you’re upset will simply make the situation escalate out of control and nothing will be accomplished. When you do talk, keep the discussion focused and to the point. Don’t get emotional, make speeches, or let your child manipulate by engaging you in a long drawn-out discussion. Simply review what should have happened, what your child did wrong, and what the consequences are for this behavior. It is very likely that there will be times when your child comes home late. You’re going to need to figure out when your child is pushing a limit or whether they actually had a valid reason. Get the whole story and check up on the circumstances. Once you have the details, you can respond accordingly. Remember, you are teaching your child that he needs to meet expectations—at home, at school, and in the real word—this includes you knowing where he’s supposed to be and when he’s supposed to be there. You will want to allow for special events and healthy experiences (like working, social activities, concerts, etc.) that won’t fit neatly into the curfew time; and so, you may need to modify it to match the occasion. For example, when your child with an 11 p.m. curfew wants to attend a concert that gets over at 11:30, it may make sense to stretch the time to match the event. But, there will also be times when you won’t be supportive of either the event or the stretch in the curfew time. When you say no, it’s likely your child will be disappointed. You may be crushing their plans, but you have a good reason. Most times, kids will just be angry and disappointed. But, there may be other times when what your child was asking was really too much for them, and your saying no gives them a way out. Your child can blame their “mean parents” for saying no, while a part of them is quietly relieved. Don’t be surprised if your child wants you to be more lenient with their curfew. It’s fine to hold firm, but, there may be times when you want to give your child a chance to prove themselves. Then, if your child shows you they can be trusted, you can add some time to the curfew. Let your child know that if they don’t follow through, you’ll have to reassess the curfew, likely making it earlier. If that happens, tell them they can work their way back—it’s up to them to earn your trust again. Setting curfews and consistently and calmly following through on consequences teaches children that there are rules and expectations in this world: they are accountable to those rules and to the people who set them, and they need to behave in a way that shows they can be trusted. When the going gets tough, keep in mind that you are helping your children become responsible members of society.